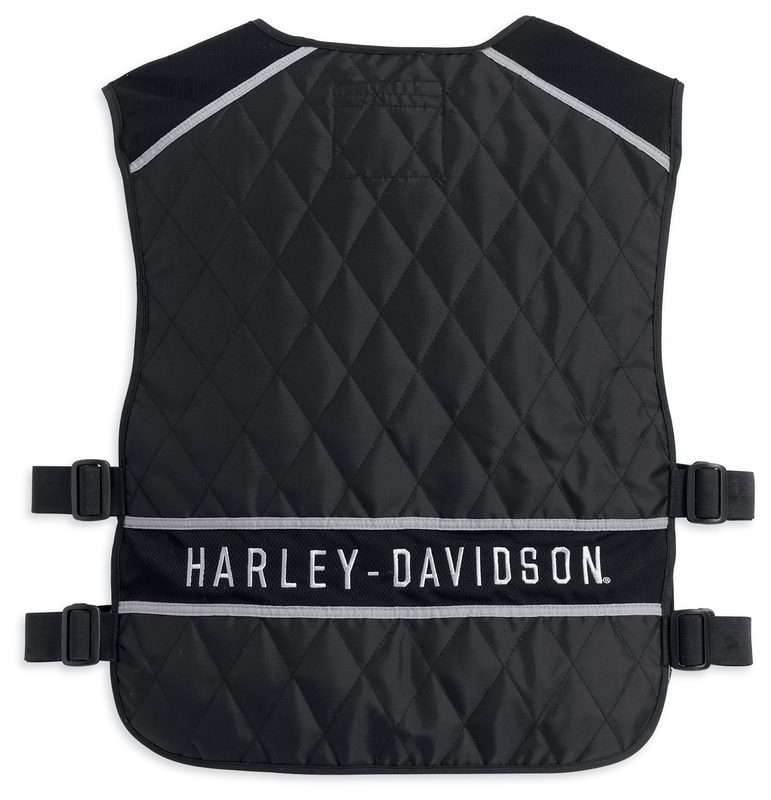 Designed with evaporative Hydration Technology for maximum cooling, the new Adjustable Hydration Vest (P/N 97371-13VM, $55) from the Harley-Davidson® MotorClothes® line delivers air conditioning for your upper body. The 100 percent nylon quilted vest is lined with polyacrylite crystals that fully hydrate when soaked for up to 10 minutes, then evaporate in high temperatures to keep riders cool. The crystals last approximately one year or 50 uses. 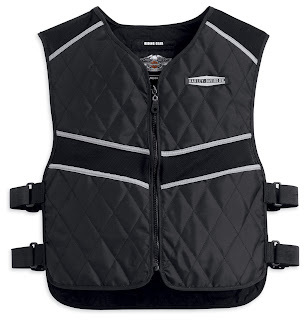 Mesh panels on the shoulders, chest and back provide extra cooling, while adjustable side belts offer custom fitment over your riding gear. 3M™ Scotchlite™ Reflective Material delivers enhanced reflectivity. Available in M, XL and 3XL sizes. The Adjustable Hydration Vest is available now at most Harley-Davidson dealerships.